One of the founder of Traditions Life Products is Jeremy Johnson. 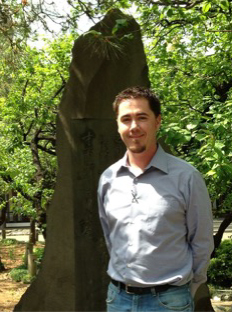 Jeremy was fortunate to get to travel internationally to Asia, South America, and Europe for work. While in Japan he loved the experience of the cook your own meal like Korean BBQ. After purchasing a new patio table he realized he could easily add a grill that would fit in the tile space. Thinking it would be a fun way to entertain friends and be a conversation piece. He soon realized that kids were big fans of the experience. The unintended benefit was that the table created experiences that would make memories for years with his children. It made meal time more engaging and a unifying event. Things like cell phones and tablets disappeared and were replaced by conversation and joking. Recognizing also the importance of forming regular routines to build strong family bonds this was incorporated into the company fabric. Hint: Share photos on Instagram using #Traditionslife for us to repost. Social media followers on FB and Instagram who share photos of themselves using our products or helping support our mission will be randomly selected to receive free stuff.